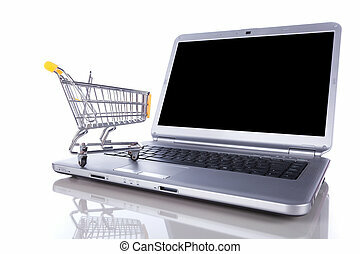 Internet shopping. 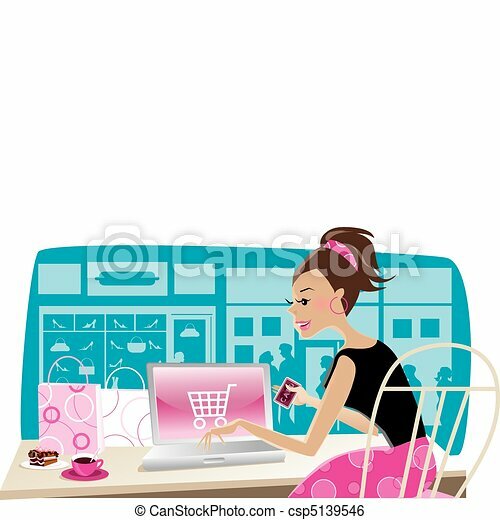 Vector illustration of a girl using internet for shopping at cafe. 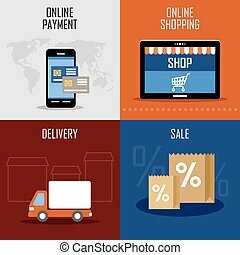 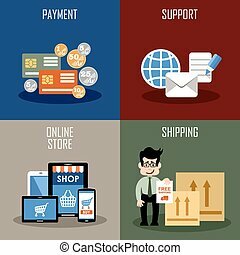 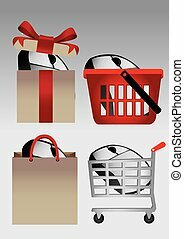 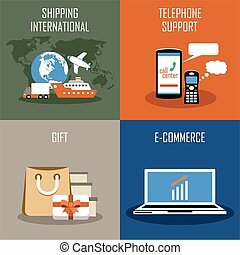 Web and Internet on line shopping concept with basket icon and e-commerce symbol on colorful shopping bags for website and online business. 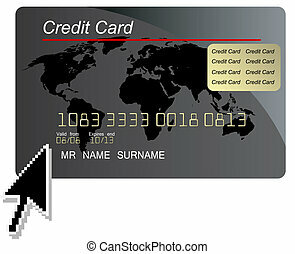 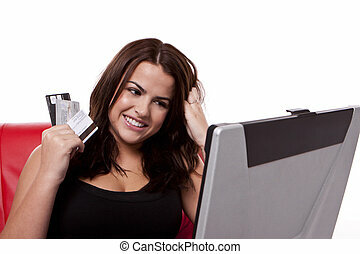 Young woman paying for goods she ordered on-line by credit card. 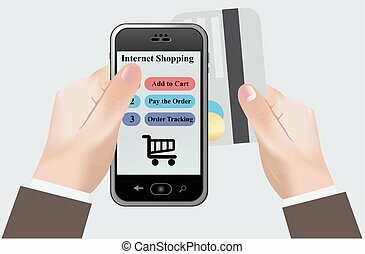 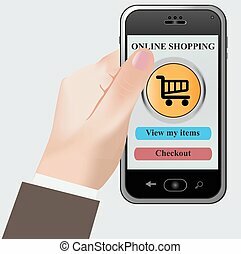 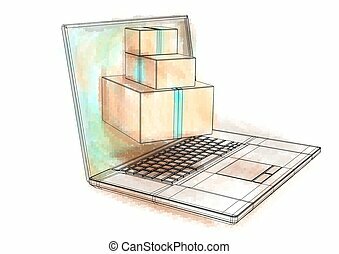 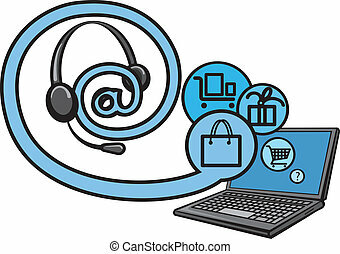 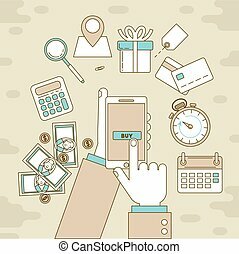 Internet shopping illustration, buying products via cell phone.